DeskNotifier is an Android application which helps you to receive all the Notifications from your Android Phone on your PC and lets you answer your SMS messages instantly. 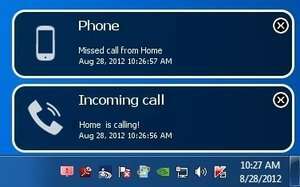 Notifications appear in the system tray. For security reasons, you should also check out the DeskNotifier download at LO4D.com which includes virus and malware tests. Additional screenshots of this application download may be available, too.